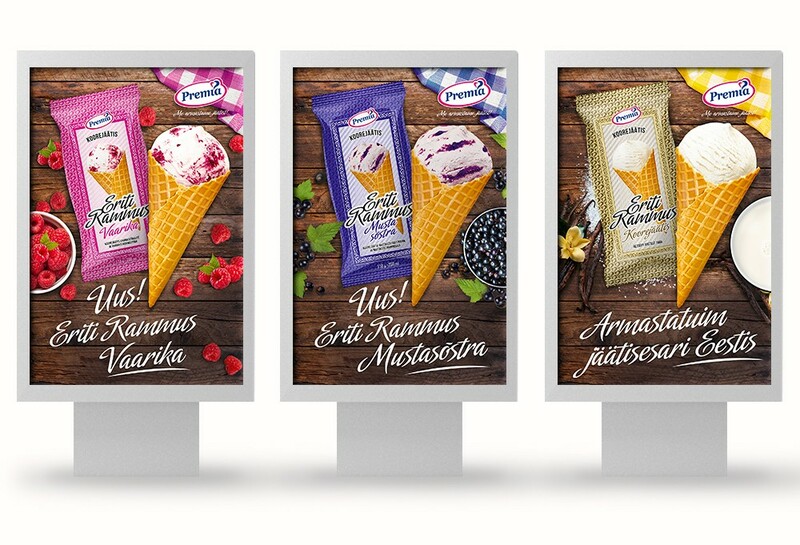 Premia’s flagship, Eriti Rammus is the foundation of Estonian ice cream culture. That doesn’t mean the brand sits still and rests on its laurels. Every year there are new flavors and 2018 wasn’t an exception. The news was shouted out loud on these outdoor ads.